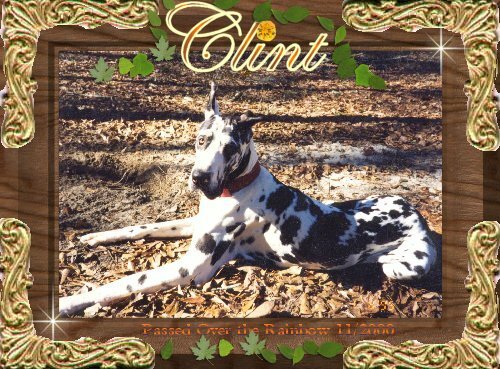 Dedicated to my Harlequin Great Dane Clint, who taught me the shorter the Life, the more Goliath the experience and privilege to Love and be Loved. You still echo inside me, somewhere in my broken heart...until we meet again, Big Guy, I will always love you. Susan & Howard, the humans you left behind.